I’m usually willing to suspend quite a bit of disbelief while watching TV. Honestly, I don’t require a lot of pragmatism in my TV shows. Jack Bauer can make it across Los Angeles in ten minutes and never hit traffic. No problem. Detective Kate Beckett can chase the bad guy in high heels and long, flowing hair when I can’t even cook dinner unless my hair is in a ponytail and my shoes are off. Sure, why not? It’s probably why I was never really that angry with The Newsroom. I didn’t expect it to actually show me how a real newsroom is run. A sure sign that it’s time for a show to end is when the amount of things that have happened would mean that all of the characters would be in a straitjacket, staring at a wall and rocking back and forth. Given the bombing, the shooting and the catastrophes, they all should have had a complete nervous breakdowns by now or at least have switched jobs. Cristina is the only one who seems to realize this since she at least tried to change careers and announced “I don’t understand how this keeps happening” after the crash. Please don’t kill off Arizona (Jessica Capshaw). Let Alex (Justin Chambers) have guilt because she gets injured not because she’s dead. Callie has already lost one spouse. She doesn’t need to lose another. Since Eric Dane is leaving the series, you can go ahead and kill off McSteamy though. I’m totally okay with that. 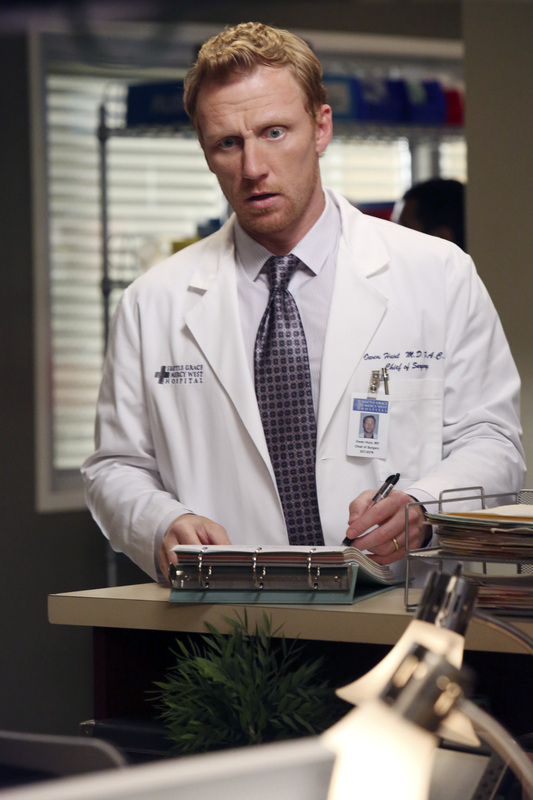 Please don’t put Cristina and Owen back together. They are the definition of dysfunction and I’ve never particularly cared for them as a couple anyway. Let them move on with other people. I love seeing a happy Bailey. But no more of Bailey sneaking off to the supply room for a little hanky panky or acting ridiculous in the OR. We all love Bailey because often she’s the only sane and professional doctor around. Let’s keep it that way. Are you excited for the Grey’s premiere or are you fed up with the show? Do you think the show should end after this season? Talk about it below. A pilot shouldn’t be that complicated to follow. It’s the time to invite viewers into the world you created and get them invested in your characters and your plot lines. Tonight’s premiere of Last Resort (8 p.m. on ABC) doesn’t really do that until the final moments. The drama takes a circuitous and convoluted route to the main plot. Submarine Captain Marcus Chaplin (Andre Braugher) receives orders to fire nuclear weapons on Pakistan. The orders don’t come through the regular channel which would mean that Washington, D.C. has become totally incapacitated. However, when the Captain turns on the TV, he finds nothing but daytime talk shows and Hannah Montana reruns. So , you know, the country clearly isn’t in crisis. When Marcus questions the orders, he’s relieved of his duty and his second-in-command XO Sam Kendal (Scott Speedman) is put in charge. Only Sam isn’t so quick with the trigger finger either. This all leads to the entire crew seeking refuge on a remote island where things probably won’t go smoothly between the natives and the crew. Along the way, there’s a positively ridiculous character introduction to Autumn Reeser’s Kylie Sinclair. Worst. Character. Introduction. Ever. You get to see Max Adler (Dave Karofsky on Glee) again. And there’s the requisite girl back home pining away for Sam (Jessy Schram). Braugher is fantastic in anything he does. 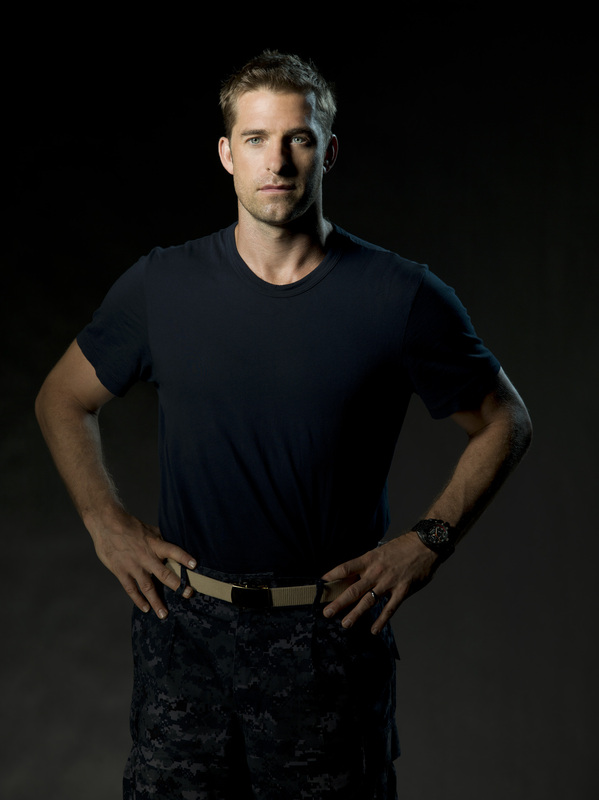 He’s in my “I’d watch him read the phone book” file and, as I mentioned in my story on Scott Speedman, it’s really great to have him back on TV again. The duo have a terrific on-screen rapport of mentor/student (or father/son) that should propel the series forward. I’m invested in their relationship. 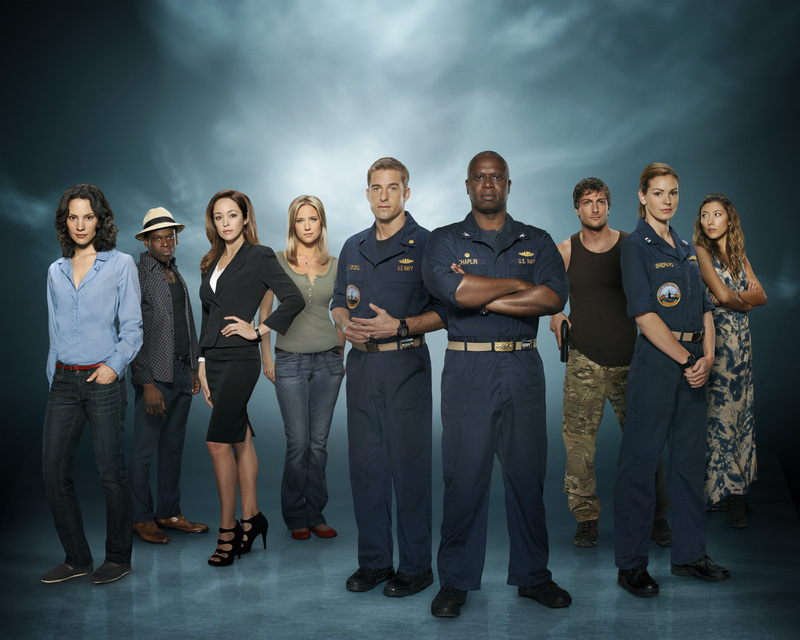 TV has been searching for another Lost since Lost began. Last Resort is clearly going after that viewership by launching a central mystery immediately (why were they being told to attack Pakistan?) and also establishing the central characters as outlaws trying to forge a new life in a foreign land. The show films in Hawaii so, like me, you may be on the lookout for the smoke monster. But I had quite a few issues with the pilot – from its convoluted storytelling to its often hokey dialogue. Shawn Ryan, the man behind The Shield and Terriers (which I adored), is at the helm here so that alone makes me believe the show will sort out its problems and could potentially become a great series, but right now it’s just an okay one. Scandal returns tonight (10 p.m. on ABC) and there’s almost nothing I can tell you without ruining the great plot twists the show has in store. 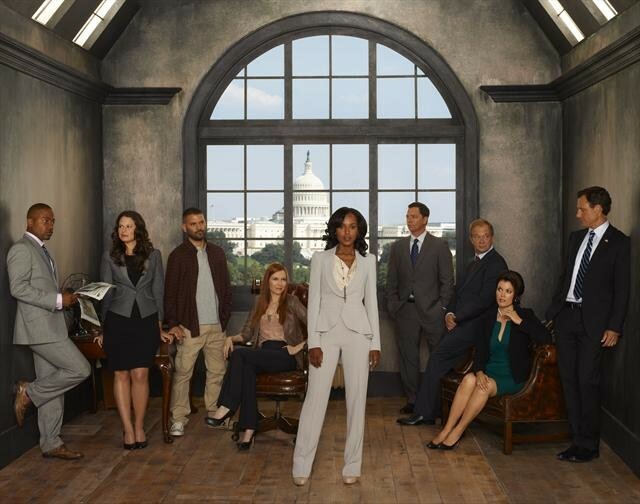 This was one of my favorite new series from last season and if you are not watching Scandal, you should be. Kerry Washington is fantastic as fixer extraordinaire Olivia Pope. Washington manages to make Olivia simultaneously fierce and vulnerable. The show is over-the-top but in a highly entertaining and enjoyable way. Okay that’s all for today. Don’t forget to watch Elementary tonight (10 p.m. on CBS) which was my pick for one of the best new shows of the season. And remember I’m bringing back quotes of the week and where have I seen them before so send me your favorite quotes and familiar faces through my contact page. And don’t forget to follow my blog so you’ll know every time I have a new post. When I was in Los Angeles this summer for the Television Critics Association press tour, I had the chance to chat (along with some of my fellow critics) with Scott Speedman. Speedman, who stars as XO Sam Kendal in the new ABC drama Last Resort (premiering tonight at 8 p.m. on ABC), was charmingly self-deprecating and honest. (As I said at the time, I KNEW I was right to always pick Ben over Noel). In tonight’s premiere, Kendal refuses an order to launch a nuclear attack on Pakistan when the directive does not come through the proper channels. His actions force him, his captain Marcus Chaplin (Andre Braugher) and their crew to find refuge on a remote island (which looks a lot like Lost since the show films in Hawaii). It’s the actor’s first TV role since playing the dreamy Ben Covington on Felicity. That show ended in 2002 so Speedman has spent a decade away from the small screen. Welcome back, Scott! For years I did the ‘well what’s the point? I don’t get this. I don’t see myself doing this. I don’t understand how this can be successful.’ But then you don’t work and that’s a problem. [Co-creator and executive producer] Shawn Ryan (The Shield) at the helm was a big push for me because it’s all well and good to make a good pilot but that’s not really what the show is. The show is episode seven and down the line. I read a bunch of pilots and I can usually see what they will evolve into and this I had no idea. And I think these two guys, Karl Gajdusek and Shawn Ryan, are so smart I was willing to take the risk to see what was going on. This is a long term commitment I’m not good with long term commitments so we’ll see how that goes. I mean I can only say it was exciting premise and we’ll see what happens. We’ll see how I do with that long term commitment . I really was adamant on not being involved on an out and out soap opera show. I was not interested in that. I would say that it would be impossible not to have romantic elements to this character. I don’t want it to turn into Temptation Island either. Hopefully it will be done well. I would be a terrible naval man. The regimented lifestyle, I would not do well. I do not follow rules all that well. I think I’d be terrible. These guys – from morning to night – follow rules that’s why it’s so interesting that this is the one they say no to. There are times when I am out of sync with the rest of the critics andThe Mindy Project (premiering tonight at 9:30 p.m. on FOX) is one of those times. I’m not feeling the love that so many are bestowing upon the show. It’s not that I hated the new comedy from Mindy Kaling. I am simply not wildly enthusiastic about it. 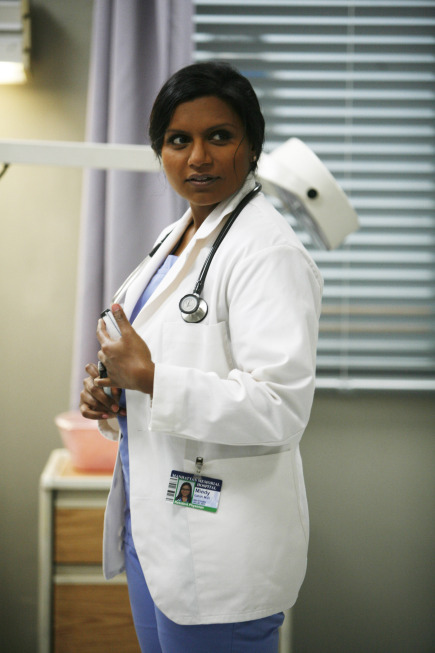 Kaling stars as Mindy Lahari, an OB/GYN with a successful medical career and a disastrous personal life. That’s a great and relatable premise for a show. My problem is that the whole pilot has this “Look at me! Aren’t I clever and cute?” vibe. And I do think Kaling is clever and cute but the pilot feels too self-aware and self-conscious. These are problems that can be fixed of course.There is a certain innate nervousness that can be present in a pilot. The stakes are extremely high as far as television goes. Maybe things will settle down by episode two. I’m rooting for Kaling to succeed. TV needs more funny women and it certainly needs more funny women who don’t look like everyone else on TV. The show definitely has a potential breakout character in Chris Messina, who plays Mindy’s fellow doctor Danny Castellano. It would be great to see Messina, who also plays Reese Lansing on The Newsroom, finally have his moment. And if The Mindy Project doesn’t work out, he can just move in with the boys over on New Girl. I’m not against The Mindy Project, I’m just not for it yet. After you watch the show tonight, let me know what you think. Vegas (premiering tonight at 10 p.m. on CBS) is another show I would love to love. Jason O’Mara is a man who deserves a hit TV series. I’ve been a fan ever since his character terrorized Brenda on The Closer. Until the bizarre finale, Life on Mars was a fantastic show and there was great potential in Terra Nova. O’Mara swings for the fences when he picks a TV project and I really admire that. I’ve loved Dennis Quaid ever since I saw The Big Easy (so interesting that both he and Ellen Barkin are in new TV shows this fall). And, of course, it’s always fun to have Michael Chiklis back on TV. Really, you couldn’t ask for better headliners. Quaid stars as Ralph Lamb, a reluctant sheriff in the 1960’s in Las Vegas. O’Mara is his brother and Chiklis is the gangster Lamb must battle. Chiklis clearly enjoys playing bad and this role seems much more comfortable for him than the heroic family man he played in No Ordinary Family. But there’s also something far too familiar about Chiklis in Vegas. It’s like Vic Mackey got sent back in time (perhaps during a Life on Mars/The Shield crossover event?). His performance almost seems redundant. The pilot for Vegas moves very, very slowly. Make sure you drink lots of caffeine before you sit down to watch this show. Mad Men looks downright speedy compared to Vegas. It’s a totally different pace for primetime television and one that I’m not sure will work. But there is still some good stuff here. I will be following the show closely. After you watch tonight’s premiere, let me know what you think. Finally I will be holding the first meeting of the Private Practice support group tonight when the show returns for its sixth season tonight at 10 p.m. on ABC. Really there is absolutely no reason why I should still be watching this show or why I should care if Addison picks Sam or Jake. So, if you still watch the show too, join me tonight so we can commiserate together. Remember to follow my blog by entering your email in the upper right hand corner. That way you’ll know every time I have a new post. And don’t forget to email me your favorite quotes and familiar faces this week. I’ll be posting them on Thursday. But here’s the thing: if a series hinges on a will they/won’t they couple, it can become problematic. Sometimes a show can completely collapse when a central couple comes together. What happened on Moonlight has become legendary (yes I know there were other reasons like pregnancy and contract negotiations that ruined the show, but Maddie and David sleeping together marked the beginning of the end). Sometimes a show can wait too long. By the time Bones and Booth got together on Bones I was no longer invested in their relationship. Sometimes a show can wear out our patience by putting a couple through a seemingly endless make-up/break-up cycle until the final credits roll (I’m looking at you Ross and Rachel). Sometimes a show gives viewers what they want because the situation must to be played out. Cuddy and House were never going to be good together on House but viewers needed to watch the dysfunctional duo figure that out. Sometimes putting a couple together completely evolves the show. I’ve loved watching Jim and Pam marry and have children on The Office. And sometimes a show refuses to give many viewers what they want as it would irrevocably alter the show and the characters’ integrity. Witness Benson and Stabler on Law & Order: Special Victims Unit. Castle played it exactly right. Having exhausted all the reasons to keep the couple apart (they do work together, they have both dated other people and their timing has been off), the show kicked off season five with Castle and Beckett in bed engaging in flirtatious pillow talk. That’s precisely where most viewers wanted to see them. The timing is perfect. The show has not exasperated me with the constant back and forth dance nor has it waited too long. I believe two adults like Castle and Beckett would eventually tell each other how they feel. But what I liked best about the premiere is that the dynamic between Castle and Beckett didn’t really change. Their witty rapport – her exasperation with his antics, his impish response – was all still there. Their dialogue about the case had the same feel. They weren’t talking coyly while figuring out who was trying to have Beckett killed. I really loved that they still referred to each other by last name while at work. And even though it’s a little silly that they would hide their relationship from their co-workers and family, it’s also fun to give the duo something to be in cahoots about. I am positively delighted with the season premiere of Castle. How about you? Talk about the premiere below. And remember this week I’m bringing back Quotes of the Week and Where Have I Seen Them Before so email me your familiar faces and favorite quotes through my contact form or at amyattvgaldotcom. The first person to either email me at amyattvgaldotcom or direct message me on Twitter with how Brody realized that Carrie had been spying on him will win both buttons. You must be very specific. This contest is closed. Congratulations to Rhonda who was the first to email me that Carrie knew Brody liked Yorkshire Gold tea. Two Homeland buttons are coming your way Rhonda! The Emmys are my night of nights. My Super Bowl and World Series. Forget Christmas, this is the most wonderful time of year. I still love everything about the Emmys — the red carpet arrivals, the gushy speeches, the upset wins,the bad outfits and the questionable hairstyles. But after years of trying to accurately forecast the Emmys and failing rather miserably, I’ve realized that no matter how hard I try, I am pretty bad at Emmy predictions. Seriously, you so don’t want to take me to Vegas. Therefore this year, I decided to talk about the six nominees that I would really like to see win. I’m still recovering from the stress that was watching “The Weekend” episode. It was one of the finest hours of television I’ve ever experienced – surprising, nuanced, and brilliantly acted. 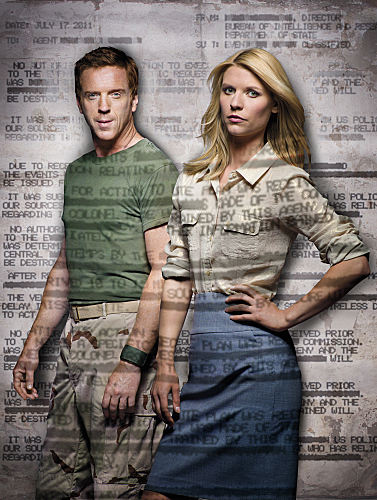 In its first season, Homeland turned every convention about an one hour drama completely around. It was impossible to play predict-a-plot with this series. Did you ever think that Brody and Carrie would sleep together? Did you ever think Brody would confront Carrie in the middle of the season? At the end of “The Weekend,” I was convinced (kind of) that Brody was innocent, but I had this lingering thought: “What if Brody is actually playing the long, long game?” Any show that can make a viewer vacillate convincingly between two equally believable scenarios is pretty amazing and deserves to be recognized. This isn’t just the performance of Danes’ career; it’s the performance of the season. There’s a palpable intensity to Danes’ portrayal of troubled CIA agent Carrie Mathison. You can feel that this woman is precariously teetering between sanity and the pull of her mental illness. In her performance, Carrie’s mistakes (really should you sleep with your target? I don’t think so.) make perfect sense. If the role of Carrie had been miscast, Homeland never would have worked as a series. Danes makes the series. For all the reasons I stated yesterday, Poehler deserves this win. Plus it’s really the only way to reward Parks and Recreation which was the year’s best comedy. I didn’t watch the show every week until Bialik came along. She so wholly owns the character of Amy Farrah Fowler. Everything about Bialik’s performance — from the way she walks to the way she speaks — transform Amy’s funny lines into hilarious ones. As I talked about earlier this week, this is the right role at the right time for Max Greenfield. But a character like Schmidt is so tricky because if an actor took the role too far, Schmidt would become a joke and a joke that the audience wouldn’t care about. Greenfield makes Schmidt outrageous while still keeping him believable and vulnerable. One of the most interesting things that happened last season was how New Girl morphed from being about the adorkable Zooey Deschanel to truly being an ensemble comedy that often focused on the friendship of the three male roommates. Deschanel may have gotten most of the attention but Greenfield made the show. Last season might not have been Mad Men’s best but it was definitely Hendricks’ best. Hendricks has been nominated twice before and this is the year she deserves to win. “The Other Woman,” which found Joan sleeping her way into a partnership was devastating and heartbreaking. Hendricks’ performance haunted me for days. Those are the six awards I care most about this Sunday. How about you? Which Emmy award categories are you most excited about? Talk about it below.You can get a complete list of Emmy nominations here. Also I’ll be tweeting during the Emmys so make sure to follow me on Twitter at @amytvgal and let me know what you think about the show. I just wrote about how The Office has been on the decline. The exact opposite thing has been happening over at Parks and Recreation, which returns for its fifth season tonight at 8:30 p.m. on NBC. The series positively blossomed last year. The comedy managed to make small town politics fascinating while building one of the sweetest romances on television. I was in love with show last season. Parks and Recreation is doing everything right. Leslie Knope is naively optimistic but also smart and good at her job. This definitely was not how Leslie was at the start of the series when often she came across as the female version of Michael Scott. But now Amy Poehler has created one of the most fully realized females on a comedy today. And she’s also created one of the best female friendships on TV – I adore the relationship between Leslie and Ann (Rashida Jones). The show judiciously gives viewers the exact right dose of certain characters. Ron’s obsession with meat and disdain for all things personal is hilarious because the show plays that note perfectly and, of course, because Nick Offerman is brilliant at the role. As he did on Everwood, Chris Pratt has made Andy so much more than the resident dimwit. I literally don’t understand how the show didn’t receive an Emmy nomination. (And yes I do love Rob Lowe’s Chris. My loyalty to Sodapop is unending). Are you excited for the new season of Parks and Recreation? Talk about it below. The Office returns tonight at 9 p.m. on NBC and I enter the season relieved. The show has announced that this season will be its last. No matter what happens, it will all be over soon. There’s a certain freedom showrunners and writers feel when they know they are heading towards the end. They can write towards something that is finite. So I enter the season both relieved and optimistic. Of course, there have been other problems. James Spader never quite gelled with the show, which was odd since he seemed like her would be the perfect fit. And I simply can’t get on board with the addition of Catherine Tate’s Nellie. Her shtick is funny in and of itself but on The Office it plays like the rest of the cast is doing a show and she’s stuck in an improv skit. First of all, the way to my remote is by adding a former Greek star to your cast. Clark Duke (Dale on Greek) comes about as a new Dunder-Mifflin employee dubbed Dwight Jr. The scenes between Duke and Rainn Wilson are pretty great. Jake Lacy (somehow looking years younger than he did on Better With You) is the new Jim. Their presence not only provides some good comedic fodder but it also serves as a reminder that everyone is older and it might be time for some employees to move on. The one thing I’ve always loved about the show is the relationship between Pam and Jim. The series managed to put them together without disrupting the show and has kept them consistently true to their characters. Jim is a loveable underachiever who cherishes his family but has always known he is not realizing his full potential. Pam is a homebody who realized everything she needed was right in Scranton (one of my favorite episodes is when she is thrilled that Jim bought her childhood home). A plot development in tonight’s premiere is utterly believable and I kind of can’t wait to see what happens next. Are you excited for the final season of The Office or did you break up with the show a long time ago? Talk about it below and remember to follow my blog so you’ll know every time I have a new post. Also with the new season starting next week, I will be bringing back both the “Quotes of the Week” and “Where Have I Seen Them Before?” If you see a familiar face or hear a great quote, write me at amyattvgaldotcom or contact me through my contact page. Into every season, a bad TV show must fall. And a slew of bad shows are about to come raining down on your TV. I have spread the dislike around and have picked the worst new show on each network. My usual caveat applies – sometimes bad or average pilots can become great shows (for instance, I wasn’t necessarily wowed by the Revenge pilot last season). But these five shows have the most to overcome. Mob Doctor (premiering September 17 at 9 p.m. on FOX): Giving this show a bad review makes me sad. I simply don’t like it when two of my favorite actors end up in a clunker. Jordana Spiro stars as Dr. Grace Devlin. She’s a brilliant surgeon when she’s not being called upon by the Chicago mob to do their medical bidding. (Mob Doctor also wins this season’s award for most literal title). Zach Gilford co-stars as her boyfriend and fellow resident Dr. Brett Robinson. Pause for a moment, won’t you, and reflect on the possibility of a series starring P.J. Franklin (My Boys) and Matt Saracen (Friday Night Lights). Savor this image. Now completely obliterate it from your head because Mob Doctor is so not that series. Beauty and the Beast (premiering October 11 at 9 p.m. on the CW): Beauty and the Beast, starring Kristin Kreuk and Jay Ryan as the title characters Cat and Vincent, is not only the CW’s worst new show but it’s also the worst new show of the season (you’re breathing a sigh of relief right about now aren’t you, Malibu Country?) Honestly if I didn’t know this was an actual real show I would swear it was a Saturday Night Live skit. (And even as I write this, I’m not completely convinced that this whole thing isn’t for an episode of Punk’d). I mean it is kind of hilarious that the producers think that taking the very, very attractive Ryan and giving him a strategically placed scar makes him a beast. But even taking away the CW propensity for prettying everything up, the show is seriously flawed. It’s melodramatic, poorly acted (Kreuk remains not the sharpest tool in the acting shed and it doesn’t help that the show has made Catherine a HOMICIDE detective) and completely uninteresting. At the end of the pilot, I didn’t care if Cat and Vincent ever got together and that’s not good. Malibu Country (premiering November 2 at 8:30 p.m. on ABC): There are some shows that set expectations from the moment the cast is announced. And when you have Lily Tomlin in your cast, I watch the show with one solid expectation – that the show will be funny. And Malibu Country simply isn’t. Reba (I seemed to have missed the announcement when she dropped her last name, but she just goes by Reba now) stars as a country singer who raised a family in lieu of pursuing her career. She divorces her no good, cheating husband Bobby and heads to Malibu with her mother (Tomlin) and two teenage children. Sara Rue pops up doing her best Real Housewives spoof as Reba’s new neighbor Kim. The one semi-bright spot is Jai Rodriguez of Queer Eye for the Straight Guy who plays an assistant who could help Reba’s career. I always liked him and it is kind of fun to see him on TV again. Reba’s WB show Reba had a certain amount of charm and except for a few minor changes Malibu Country is basically the same premise. Perhaps it will develop some charm as time goes on. But I’ve got to think ABC knows they have a stinker on their hands or they wouldn’t be waiting until November 2 to premiere it. Guys with Kids (premiering September 26 at 8:30 p.m. on NBC): If you caught last week’s sneak peek, you probably already know what I’m going to say about this show. Guys with Kids is cut from the comedy cloth that wives are nagging presences who husbands must endure, deceive or ignore in order to have any fun. These three guys – Gary (Anthony Anderson), Chris (Jesse Bradford) and Nick (Zach Cregger) – are also raising children. So that means that not only can the show touch upon every cliché about being married but it can also run through every cliché about having children. Good times. The show does have moments of inspiration. I thought , for instance, it was pretty funny that Chris’s ex-wife Sheila (Erinn Hayes) actually did have a date with Kareem Abdul Jabbar. But rare moments of inspiration don’t make a show. Partners (premiering September 24 at 8:30 p.m. on CBS): To be clear, Partners is the worst new show on CBS but it’s nowhere close to being the worst new show of the season. My major issue with the comedy is that it’s basically Will & Grace: The Saga Continues. Except this time instead of a gay man being best friends with a straight woman, a gay man (Michael Urie) is best friends with a straight man (David Krumholtz). Brandon Routh (Superman) and Sophia Bush (One Tree Hill) are their significant others. Urie is positively charming as the needy but well-meaning Louis and the rest of the cast is equally strong. But everything about the show – the sexually suggestive double entendres, the slapstick humor, the over-the-top characters – is very, very familiar. So those are my picks for the worst new offering of each network. Don’t worry, we’ll have more bad shows to talk about as the new season launches (I’m talking to you Emily Owens, M.D.). I’ll be back tomorrow with my picks for the best new shows of the season. Talk about which show you are least looking forward to below. And don’t forget to follow my blog so you’ll know every time I have a new post.